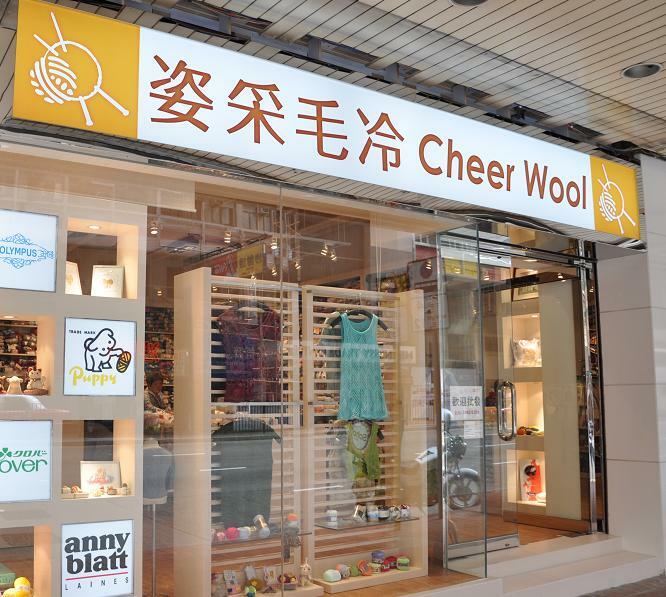 Established in 1983, Cheer Wool is one of the most renowned, popular yarn and handicraft retailer and wholesaler in Hong Kong. We are also the official agent/distributor for many handicraft brands including Adriafil, Anchor, Anny Blatt, Clover, Create Bell, Daruma, Knitpro, King, Kiyohara, Lanarte, Lanas Stop, Olympus, Puppy, Sanrio licence fabrics, Ski, Steinbach, Sunfelt, Tulip and much more. Our relentless effort over the past years have earned us a high reputation of supplying high quality products to our valued customers. .
We specialize in a wide range of hand knitting yarns, knitting needles, accessories and pattern books from Japan and Europe. We also offer a large variety of handicraft products including embroidery kits, threads, cloth, accessories and patchworks from all over the world. (Please continue to browse through our website for more information) Our goal is to provide you with one-stop knitting and handicrafts shopping experience. Our vision is to become the leading and most preferred handicraft company in Hong Kong. Apart from Hong Kong, we welcome enquiries from anywhere around the world to discuss new business opportunities.